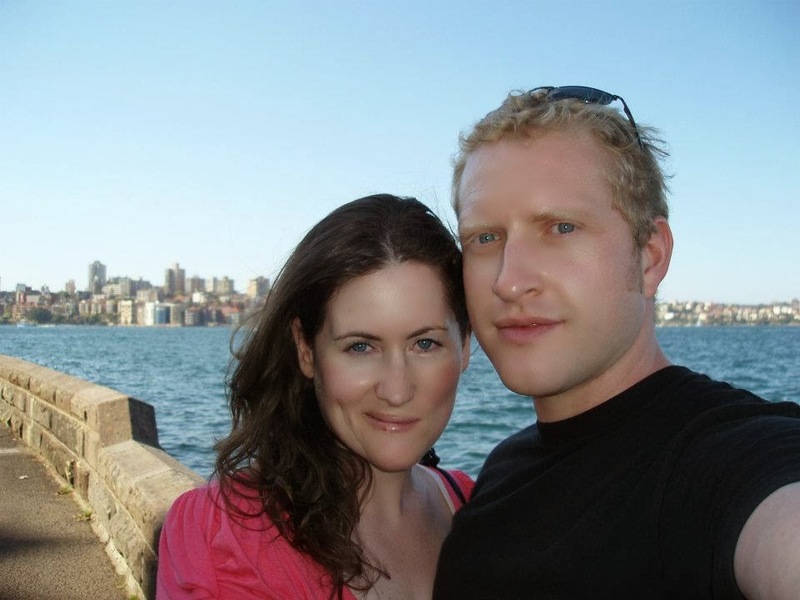 A few weeks back a beautiful woman named Jamie Baywood contacted me about her book called Getting Rooted in New Zealand. I was so thrilled to read her book and even more excited for the opportunity to interview her after I read it. She sent me a copy and although some family stuff took over my time for a while, when I did get to read her book, I tore through it in one night. Oh my goodness. This girl can write. Also, she is one of the funniest people in the entire world. Look at how stunning she is. Prettiest ever. After finishing her book I sent her a few interview questions that I’d love to share with you. Here is our interview. Enjoy getting to know Jamie Baywood a bit more; I sure did. 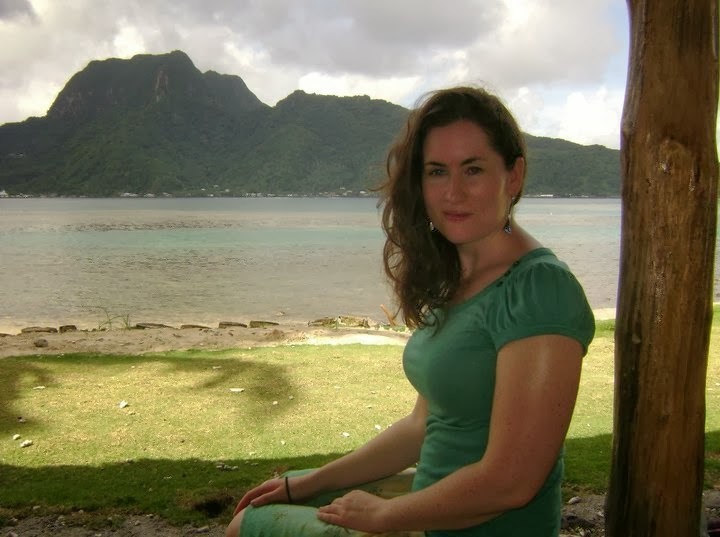 Did you know when you moved to New Zealand that you were going to write a book about your experiences? Publishing my book was my way of transforming poison into medicine. I hope that it can help people that have had bad dating experiences or bad work experiences – make them laugh and not give up hope. 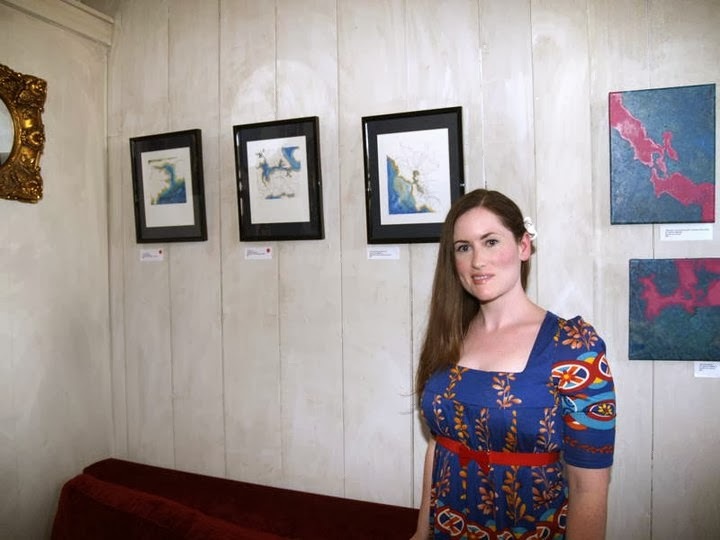 I had good, bad and weird experiences in New Zealand and California. My experiences have turned me into a writer and I am extremely grateful for that. People that read it either seem to think it’s hilarious or horrifying and I respect all points of view. I hope my book Getting Rooted in New Zealand makes you laugh! When did you start writing? What got you started? I know my experiences in New Zealand are unusual, but to be completely honest it was an improvement from my life in California. Surprisingly, I seem to be getting the best feedback from people living in New Zealand both Kiwis and non-Kiwis. I have received very kind emails from New Zealanders saying they enjoyed reading my book, they are looking forward to reading the next one and some encourage me to move back to New Zealand. From the very beginning it is clear that you are very dedicated to your Buddhist faith. How did you find that faith and what hooked you to it? In addition to being an accidental author, I am also an accidental Buddhist. I never planned to become either. I was introduced to the Buddhist practice that involves chanting Nam Myoho Renge Kyo through a friend. I was very reluctant to go to the Buddhist meeting with him; I thought it would be really weird. Much to my surprise hearing the chanting made me feel at home on a cellular level. I’ve always struggled with anxiety and at times depression, chanting Nam Myoho Renge Kyo calms me to the core. Over the next few years, through a lot of chanting, going to Buddhist study meetings and reading books like The Buddha in Your Mirror I really learned to love, value and respect myself. For the first time in my life I felt really happy and the happiness came from within. The thing that I like about Buddhism is it is about taking 100% responsibility for your own life. The word karma translates into action. You can change your karma by changing your actions. Essentially, stop doing the same thing and expecting a different result. For me, needed to overcome my relationship karma by stopping dating guys that I knew were wrong for me. Five years later I’ve now lived and practiced this Buddhism in five different countries: California, American Samoa, New Zealand, Scotland and now England. The practice is in 192 countries around the world and everywhere I go I have a built in community. Five years ago, I never thought I would get married. 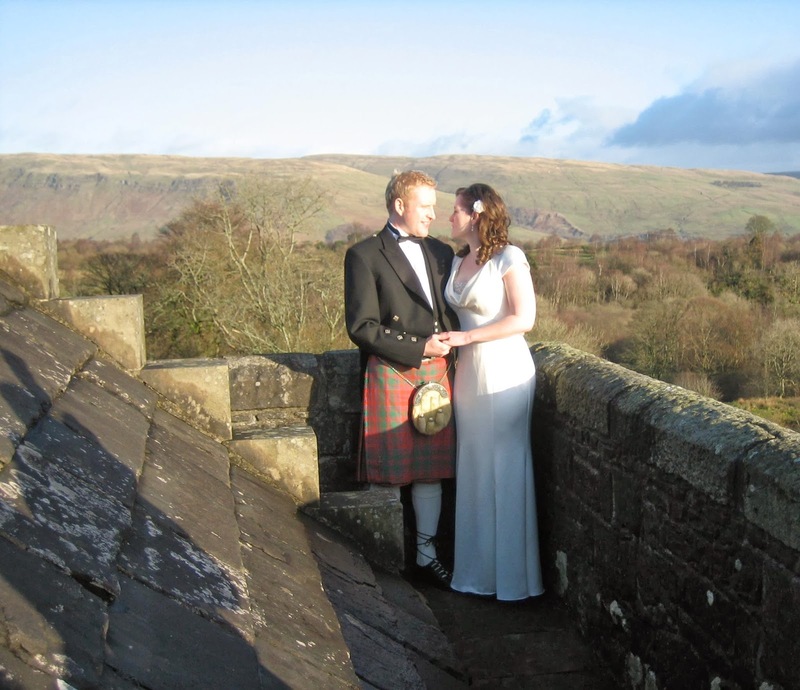 I’ve now been married for nearly two years and married the son of a knight in a castle in Scotland. My life has transformed in many ways other than my relationship karma, but I have literally chanted my way from trailer parks to castles. You mention that New Zealand has one hundred thousand fewer men than women. Coming off of a few heartbreaks myself this idea to go to New Zealand is sounding pretty good to me! Was that the only reason you chose New Zealand? I know it sounds like a crazy reason, but I needed a serious change in my life and felt I needed to leave the country to do so. I started dating my first boyfriend when we were fourteen and the relationship ended when I was twenty-three. I had never dumped someone and didn’t have the life skills to do so. Between ages twenty-three and twenty-six, I would only date guys I knew I could dump easily. Not surprisingly, only dating guys with clear and abundant flaws that were easy to dump, created a lot of chaos and drama in my life. By the age of twenty-six, I was actually much happier being alone than dating, but I was completely bombarded by guys trying to date me. I read in a New Zealand tour book that the country’s population has 100,000 fewer men than women. I wanted to have some me time and an adventure. New Zealand seemed like a good place to do so. I found a work abroad company that helped young Americans get work visas in New Zealand and Australia. I had been watching a lot of Flight of the Conchords at the time and enjoyed Bret and Jemaine’s sense of humor and accents. 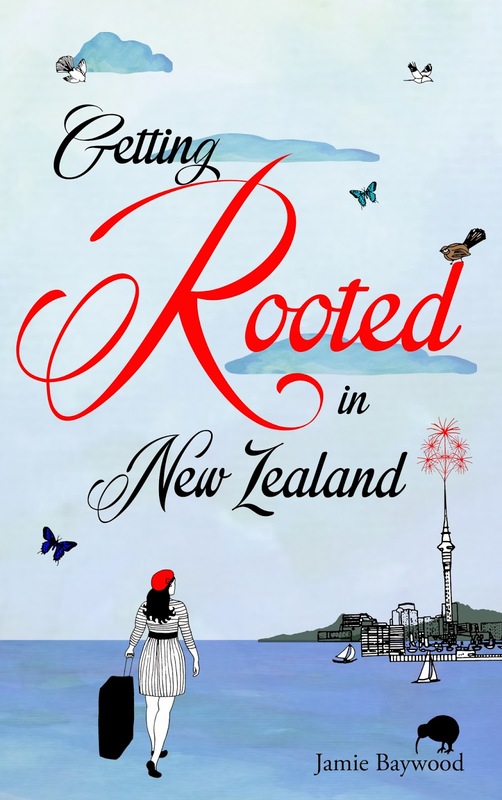 I loved the story of the double meaning of the phrase “getting rooted” and after reading what that meant in New Zealand, the title of the book took on an entirely new meaning. Why did you decide to use that as your title? My title is another way of laughing at myself. One night I was brushing my teeth with my flatmate and I said, “I’m really excited to live in this house because I have been travelling a lot and I just need to settle down, stop travelling and get rooted.” I had meant get rooted in the America way to settle down, lay down roots. He started choking on his toothbrush and asked if I was hitting on him. He explained to me what rooting meant in New Zealand. I decided on Getting Rooted in New Zealand because it’s funny and the book is about rooting – both meanings of the word. Do you keep in contact with any of the people you met in New Zealand? I do keep in touch with most of the people I met in New Zealand. Some of my dearest friends in the world are in New Zealand. Although it is technically not home to me or my Scottish husband, it feels like home to us as a couple because that is where we met. We have been feeling homesick for New Zealand and really miss our friends there. We haven’t been able to go back to New Zealand or anywhere by plane. Although I was married in January 2012 in the UK, my marriage visa was not approved by the UK Border Agency until September 2012. During this time, I was not allowed to work, study, collect benefits or even leave because they had both my passport and my husband’s passport. This is one the main reasons I decided to go ahead and publish Getting Rooted in New Zealand. Due to my visa restrictions with the UK Border Agency, I’ve had no rights to work in the UK, but they couldn’t stop me from publishing my book. How was the wedding!? How is Grant? How is Scotland? How is your life now? I love being married to him. We got married in a little castle in his home town in Scotland at the beginning of year 2012. My husband wore a kilt. I was hoping for a white winter wedding, but we ended up getting sunshine in Scotland during the winter. It was a magical day; we had a rainbow over a loch, bunny rabbits hoping by us, birds chirping and a full moon reflecting on the loch at night. We still can’t understand each other if we aren’t in the same room and there are always new words or Scottish sayings I’m learning. I hope I never stop swooning over his accent. Being married to a Scottish man is the best. I love the Scottish accent and all the words he uses. I love hearing wee in every sentence. He calls me wee fluffy bunny. I married the sweetest man. He is also incredibly kind, handsome and humble. Grant is very busy working on a MA in Landscape Architecture. This gives me a lot of time to work on promoting my book and attending book talks throughout the UK.For unwanted and complicated reasons we had to move to England last September. It was devastating to have to move out of Edinburgh to Sheffield, England last year for my husband graduate school. We will have to live here until summer 2014. We had more culture shock going from Scotland to England than anywhere else. Rather than being displaced to a country I didn’t want to move to, I decided to be displaced with the goal of publishing. I’ve just completed a MA in Design. Designing, publishing and marketing my book was my dissertation project. I’ve never lived this far inland before. It makes me feel claustrophobic to be so far away from the ocean. I desperately miss the ocean and being warm at the beach. I really miss the warm, friendly nature of the people in the South Pacific. If money and visas weren’t an issue, (which they very much are) I’d love to go summer to summer between Edinburgh, Scotland and Auckland, New Zealand. What is your second book going to be about? When can we expect to get our hands on it? I plan to divide my books by the countries I’ve lived in. My next book will be about attempting to settle in Scotland. I plan to publish it late 2014. I would also like to thank Jamie for the opportunity to read her book and interview her. This was the best! Thanks again, Jamie! nice new design on the blog btw…I almost thought I had clicked into another one… anyway…cool post here..I am now hooked on this book and haven't even read it.. this lady seems super fun and in a way..I think she did what I've always wished to…to write a book of my new life. I sort of went through a deeply sad and depressed phase with my former lover…and it led me to the point of fleeing away..I left it all, I quit it all..I packed my bags and moved to the beach…I remember even thinking about new zealand! ha!…but it is too far and expensive… although that lack of testosterone makes it look way more attractive to me…anyway… I'm living in a wonderful beach now..in the Caribbean.. south of México…and I plan to write a book…hope I do so one day….and I'm looking this one on amazon too…thanks for sharing! Wow Ivette! You should write a book of your own 🙂 Thank you for sharing your story!